Book Project – Mukaan | Portraits of M.E. Keep up to date on my current writing projects and find out more about the work in progress. I am glad you are interested in learning more about my book and the Maya people. As you will discover, the Maya are a very complex and interesting people. Researching for my book “Quest for the Ancient Mask”, I was captivated by the Maya culture. I was so captivated, in fact, that I knew I wanted to write about them in a factual way so that the reader would learn as well as be entertained. Quest for the Ancient Mask is a fascinating tale about a young boy who discovers that his destiny is to save the world from destruction. 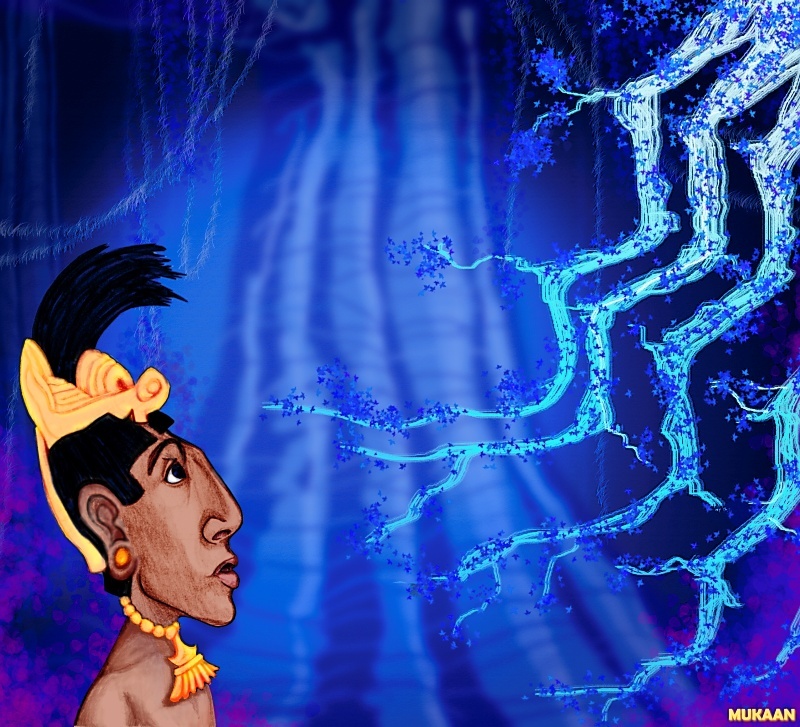 His Grandmother tells him about his family history; how one of his ancestors struck a deal with the Maya gods. Because of this pact, Mukaan’s people were free to reign over themselves without the interference of the gods. But there’s a catch….. the deal is only good for a hundred years. Mukaan finds out that he is the chosen one. He is the one who has to face the ancient Maya gods in order to ensure the freedom of his people. If he fails, the world and all who inhabit it will be destroyed. Follow Mukaan on his journey. He is challenged by Xilbalba, battles with the Jaguar spirit Balam, and searches to find a hidden Maize mask in order to renew the pact his ancestor made many years before.